I am asked all the time how you find success in real estate investing. There are many paths to success, and your path will likely be different from mine or the investor down the street. That’s what is so great about real estate. There are almost an endless number of ways to make money in this business. Your background and skills will likely play a big part in your choices. In my opinion, one of the best things about being a real estate investor is that you have the opportunity to create success in your real estate investing business while creating a lifestyle business that works for you at each stage of your life. What do I mean by that? Are you a busy mom? No problem. You can work when the kids are napping, when they are in school or you can work at night after they go to bed. Do you have a full time job? No problem. You can not only work on your business “when you’re not at work”, but you can pick an investing strategy that is a fit for the amount of time you have to devote to your real estate investing business. You can work at your own pace in other words. What about if you don’t have a lot of cash? There are ways to overcome that too. Anyone can find success in this business because there are so many different ways to do build a real estate investing business. I know this seems really basic; after all we all talk about goals. But did you know that by some estimates only about 3% of the population actually has written goals? You will be hard pressed to find a millionaire that doesn’t have written goals he can put his hands on at any given time. You have to know where you are going before you begin the trip. Success doesn’t happen by accident. Every successful real estate investor that I know has a plan. It may not be a complicated plan, but they have one. You have to know where you intend to go. You will notice I didn’t say “where you are hoping to end up”. Once you know that, then just you need to map out the steps to get there. As your business grows and evolves so will your plan but just start with a simple plan. This is where even the best plan falls apart; when the action starts. Once you have taken the time to map out your goals, put together a plan and put those action steps onto your calendar, you have to actually do the work. One of the best resources I have found to help you get clear on how to do this this is a book I read called “The 12 Week Year”. It’s a great book that will help you break your year into 12 week chunks so you can stay on track and work your plan. This is one of the major traits that I see in successful entrepreneurs in any business. They know the buck stops with them. This may also be one of the hardest pills for a new entrepreneur to swallow especially one that has always been an employee. 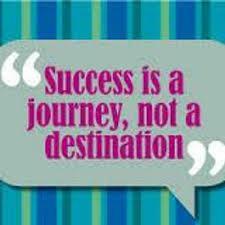 As an entrepreneur you have to get used to the fact that ultimately your success or failure begins and ends with you. I have to tell you, this one is a constant struggle for me. I really don’t think there is a cure for this (at least not in my case) but it can be managed and controlled. I admit it; I really enjoy all those shiny objects. I like new things; new opportunities, new strategies and just “new and interesting” in general. As a lifelong learner, I also really like learning about new things and trying them out. I can easily lose a whole day with (unplanned) learning. However, at some point all these bright shiny objects become major distractions in our businesses and they cause us to lose our focus which translates into lost income. Robert Kiyosaki says “Change is mandatory for extraordinary results”. If your business isn’t changing, you aren’t growing. If you aren’t growing your competition will pass you by. Change is your friend so learn to embrace it. This is one of the biggest advantages any small business has over a large corporation. It is especially important for a business like real estate because they are so closely tied to trends and cycles in the marketplace. Being first often beats being the best, so the speed of implementation is critical for success when changes are needed. Generally speaking, real estate investors are much like other entrepreneurs in that they are willing to take risks more than folks that have an employee mindset. The weigh the advantages against the disadvantages of each situation, make a decision and move on. There is a lot of talk about mindset in the business world. This is really true for small business people. Business is often like a roller coaster ride full of ups and downs. One day you’re up, and the next day you are overwhelmed with problems. Successful business owners learn to manage their mindset. It’s not always possible to change your situation, but you can always change the way you respond to the situation. Real estate entrepreneurs are visionaries. We live in the world of possibility. We make goals, commit to action plans, take risks, embrace change and at the end of the day we take responsibility for the both the good and the bad that comes our way. For all up the ups and downs, we love being an entrepreneur. Success in real estate investing isn’t just for those that are lucky or special in some way. The amount of education a person has really has no bearing on success or failure either. Any part of this business can be learned (or even outsourced if a task just isn’t “your thing”). I believe that there is one thing separates successful people from all the rest and here it is; when they get up each day, whatever the next challenge is, they face it head on. In other words, “They feel the fear and do it anyway”. Like Nike says; “Just do it”! What other success tips do you have to share? I’ve read many posts on real estate investing. This is the best so far…for any entrepreneur. Definitely worth returning to. Thank you.